The construction of this building began in the 16th century to be used by traders for their commercial transactions. In 1785, the premises became the headquarters for the General Archives of the Indies when structural changes were made to accomodate the numerous files and documents. 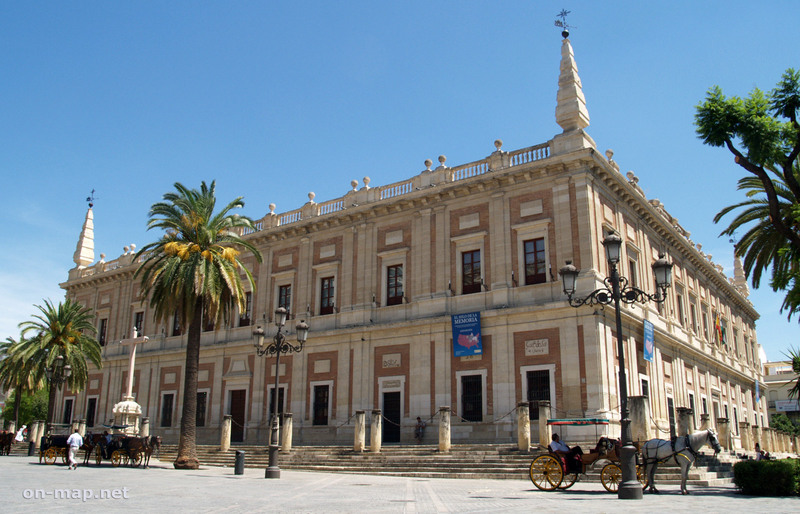 The archives of the Indies contain references to Spain and her foreign possesions between the 15th and 19th centuries. Inside this sober Renaissance building there is a superb marble 18C staircase. On the upper floor, large rooms with superb vaulted ceilings contain countless documents relating to the discovery and the colonisation of America. There you will find the signatures of Christopher Columbus, of Magellan, of Cortès, etc.